Professional landscape design services with you in mind. After closely collaborating with local businesses and homeowners since 2002, Nature’s Accent’s highly regarded team has become one of the leading landscape service companies in the Berks and Schuylkill County region. Specializing in the creative design of both residential and commercial landscapes, the company has provided extensive hardscape installations, a sizable range of maintenance services, and a creative array of fire, lighting, and water elements to round out countless outdoor projects in the region. Fresh out of Pennsylvania College of Technology, with a degree in Landscape and Nursery, Nature’s Accents founders Travis Breininger and Justin Bentz launched their company armed with vision and extensive knowledge. Their combined specialties and talents allowed the company to flourish into the multifaceted provider Nature’s Accents is today, offering unmatched personal design care and maintenance to each unique client and property. From here, the team only continued to grow, inviting those with the highest industry standards and certifications to join their team. 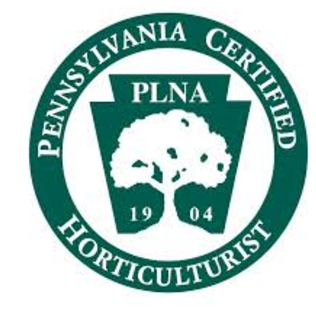 This impressive team includes Pennsylvania Certified Horticulturists (PCH), Certified Landscape Technicians (CLT) and Techo-Bloc certified contractors and licensed Pennsylvania pesticide applicators. As the company evolved, Nature’s Accents began to offer even more distinctive features, such as customized outdoor kitchens, pergolas, fireplaces, and landscape lighting designs. They continued to expand their commercial offerings throughout the seasons, providing snow removal to ensure ongoing functionality during months of inclement weather. Above all, Nature’s Accents builds strong, long-lasting relationships with their clients, assuring that their ever-changing needs and preferences are met throughout the development and maintenance of their unique outdoor space. In recognition of Outstanding Hardscaping Craftsmanship and Talent in the category of Project over $25,000. We were selected as the recipient of this award after a period of online voting which was open to the public. The award was presented at the MAHTS show in Atlantic City, NJ. Nature’s Accents was selected for this award by local readers of the Hamburg Item and Kutztown Patriot. Travis M. Breininger of Nature’s Accents, was recently recognized as the 2010 PLNA Green Achiever. We consider industry certifications and continuing education to be highly valuable and attributes to our success. Would you like to join Team NA? Drop us a line here to learn more about the employment opportunities we have at Nature's Accents.